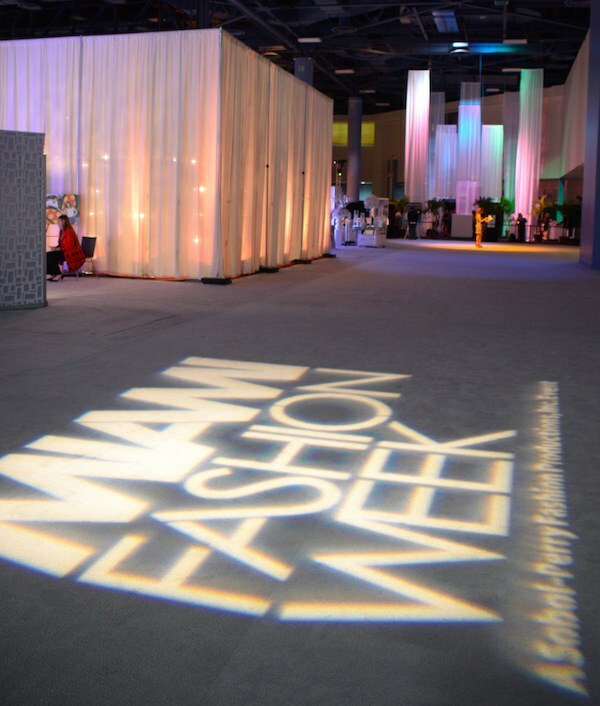 It is about the 15th edition of Miami Fashion Week in 2013 with a focus on the African designers showcase. Miami Fashion Week founder, president and CEO Beth Sobol had a vision for empowering fashion in Florida and establishing more of an international scene in Miami — something challenging but increasingly feasible. Sobol went on the search for emerging, fresh and young talents and has now contributed in exposing a number of unknown designers. As its creator, Sobol differentiates Miami Fashion Week from other fashion weeks by the incredibly broad culture spectrum it provides. Many events were held in Miami during the same week — Ultra Music Festival, Music Festival Miami, Spring Break, the award-winning Broadway show Fela!, which is currently on a US tour, and of course Miami Fashion Week. This year MFW celebrated its 15th anniversary with over 60 designers and 100 celebrity guests. Last wednesday, the show kicked off with Brazilian designer Carlos Miele, who won the event's International Designer of the Year Award. The Miami Beach Convention Center proved to be a spectacular location for the occasion as it created a highly spacious bright space which blended perfectly with all the bold and beautiful outfits worn by the guests, designers and models. However, in spite of the efforts exerted to keep the schedule, they things ran continually late — fashion doesn't wait and many, initially enthusiastic, fashionistas were spotted turning restless. For the first time, Miami Fashion Week had a focus on Africa. African designers were invited to showcase their collections and there was a pop-up African pavilion where you could purchase pieces during the week. The fashion show was a great complement to the exhibition and allowed the spectators to see how the clothes fit and moved on models. Wumi Oh opened the show in style and grace with colorful and beautiful prints, dresses, jumpsuits, and jackets. One element that looked absolutely stunning was the collection's coat and its use of a high standing collar — it was a key touch. The coat was well-fitted and its roughness on the surface embellished the wearer's stature. Aso Damisi was next and brought us African prints mixed with white pieces. The clothes featured a nice quality owing to not only to their design, but also to the materials used. However, the production wasn't very innovative in the light of what African design's already accomplished. Finicky Couture's work highlighted the importance of new ideas and thinking outside of the box — it's good to note that the essence of the work accomplished is about the structure of the clothes (prominent shoulders and a narrow waist often slightly raised to lengthen the legs). The construction of the garments and tailoring were quite well-done. The green dress with the batwing sleeves (below) was a standout and drew a particular amount of attention. Crowns Natures presented an endless collection of ready-made hats. They were bright and colorful — but we still don't approve of the return of the bucket hat. The staging and style choices, at times, appeared incomplete: the models were sometimes wearings different tops of color and leggings or walking barefoot. The Tap Designs pieces adorned and revealed the women's forms. It seemed to be fabrics patchwork, for example, a velvet and African fabric dress was placed in stark contrast to the light airy effect created by the tulle. You either liked or you didn't like Tap Designs, there was no in-between. After that, the show capped off with beauty and grace. Senegalese Mike Sylla stood out by his staging, music choices and, of course, designs. African voices like Youssou N'Dour and Salif Keita transported the audience to the heart of West Africa, the models walked slowly and the crowd generally seemed to identify with Sylla's signature. With a critical eye on aesthetics, Sylla displayed stunning, edgy hand-painted leather pieces that created out of a very distinct-yet-simple design language. What we loved the most were the painted faces in the back of the jacket! Sylla put everyone in agreement. “I want to put man in the center of my creation. In other words I never wanted to do cheap fashion or fashion that would become untrendy. My fashion is timeless! There’s a certain openness there that brings us toward the universal. So African fashion is seen as richer, more accessible too, because it’s pointless to create fashion if it’s only Africans who wear it. I want to be light, I want my culture to be fluid" said Sylla. While African designers showcase deserved to be part of the Miami Fashion Week, it left us wishing that more African countries were represented. However, Nigeria and Senegal did take the stage by storm with vibrant color and originality.